As a main partner of Marble Arch Theatre, the 607-seat pop-up spiegeltent ideally located directly next to Marble Arch, we are thrilled to announce that we have secured a 20% discount ticket for our BID members to the Olivier award-winning, West End and Broadway hit ‘Five Guys Named Moe‘. Treat yourself, your team, your partner, family or friends to the most unique, fun-loving and popular show in London! 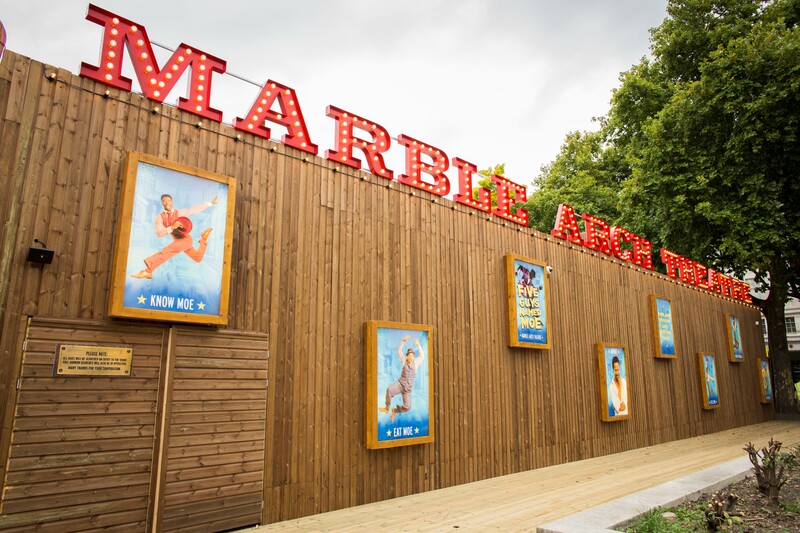 The unique Marble Arch BID member code gifts a 20% discount on both matinees and evening shows for every day of run, including Fridays and Saturdays. The code is limited to 4 per order and is available for Bands A, B, C/D and E, not available for premium. To redeem the code, please contact Taylore Hunt in the BID team, providing your business name and address in the BID area. You must be a BID levy payer to qualify for the discount. 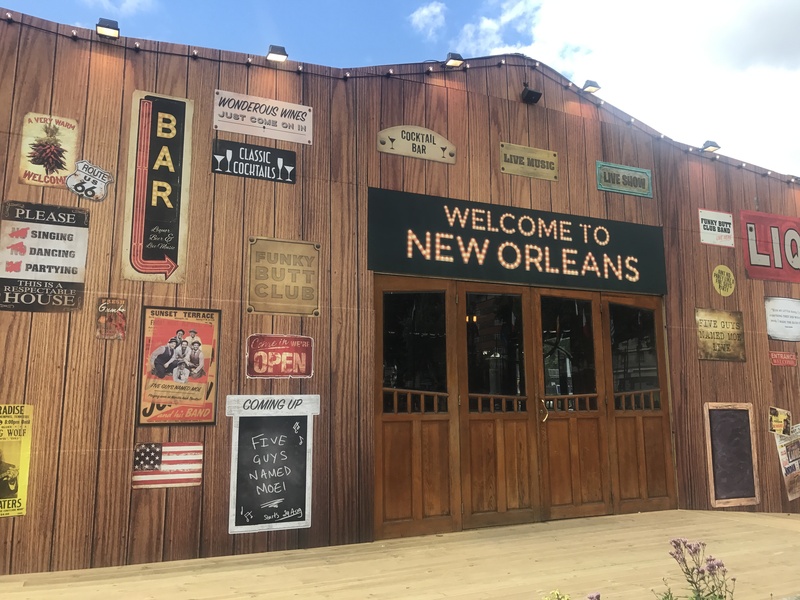 You are immediately immersed in the atmosphere of a 1940s New Orleans jazz club from the second you enter Marble Arch Theatre, which has been designed specifically for the show. With specialty Louisiana cocktails and bourbon, as well as cheese & charcuterie boards from Marble Arch’s own Buchanan’s Cheesemonger – Marble Arch Theatre is the perfect mix of diversity and community. The story centres around Nomax, a single and broke man who finds himself drinking his sorrows away, until five men called Moe – Big Moe, Little Moe, Eat Moe, Know Moe and Four-Eyed Moe – appear out of nowhere to help him straighten out, singing and dancing his way to happiness and love! Featuring the irresistible hits of the original king of jazz Louis Jordan, including Is You Is Or Is You Ain’t My Baby, Early In The Morning, Choo Choo Ch’Boogie and, Saturday Night Fish Fry, ‘Five Guys Named Moe’ is a theatrical event like no other. 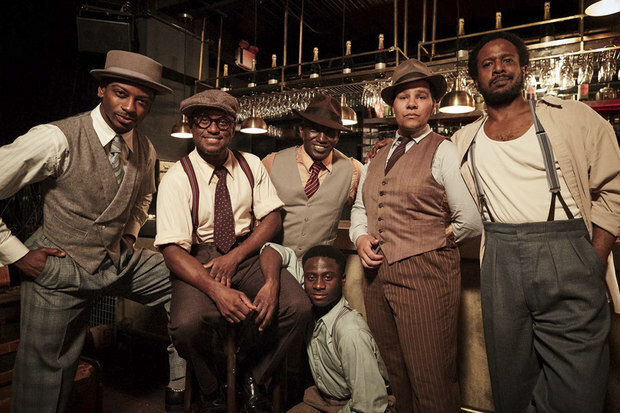 Directed by Clarke Peters (The Wire) with musical staging and choreography by double Olivier Award nominee Andrew Wright (Half a Sixpence, Singin’ In The Rain, Guys & Dolls), inspired by Charles Augins’ original choreography. Don’t miss out on ‘Five Guys Named Moe’, the show receiving standing ovation & rave reviews. Contact Taylore Hunt for your code and Book now!